Another good tune Randy. Thanks for sharing. Wow! Your playing technique and the sound is very impressing - so beautiful, Randy! I'm happy you like it Irene. 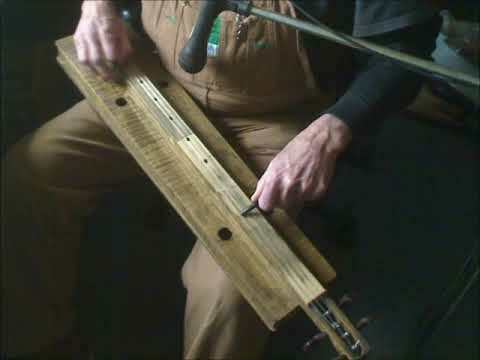 I started playing across the strings with a noter on a fretted dulcimer. Kind of got the hang of it a little at a time. Tuned DAd here. From 10 years ago already. Side by side noter hold helps. Thanks for listening and giving it a little sayso my friends. I'm getting practiced up for the big noter whing ding come the 2nd week of May. I always like the vibe you get playing fretless. Wow! Randy I really loved that! Such a great, old-timey sound. Keep 'em coming! I like both versions of this tune, Randy! You have such a playful and unique approach to the dulcimer, Randy. I'm so glad you're posting tunes again.